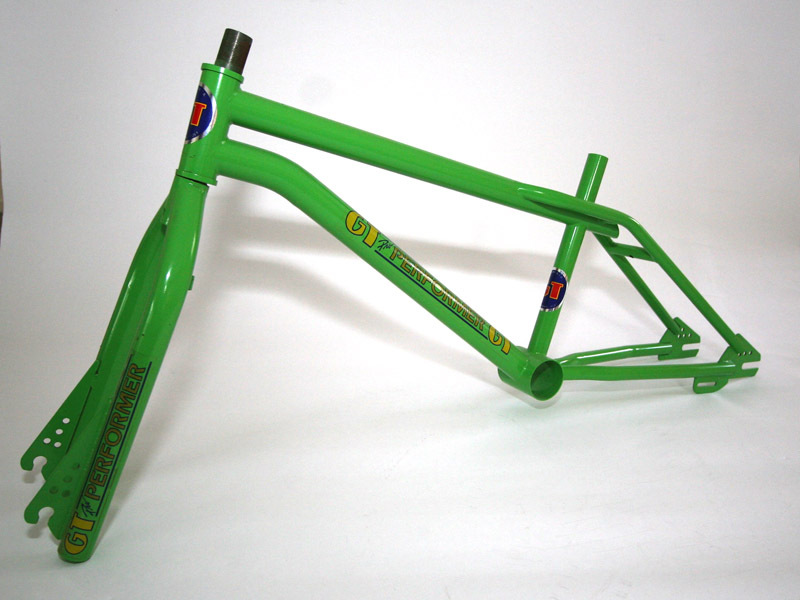 1985 GT Pro Performer BMX for sale. 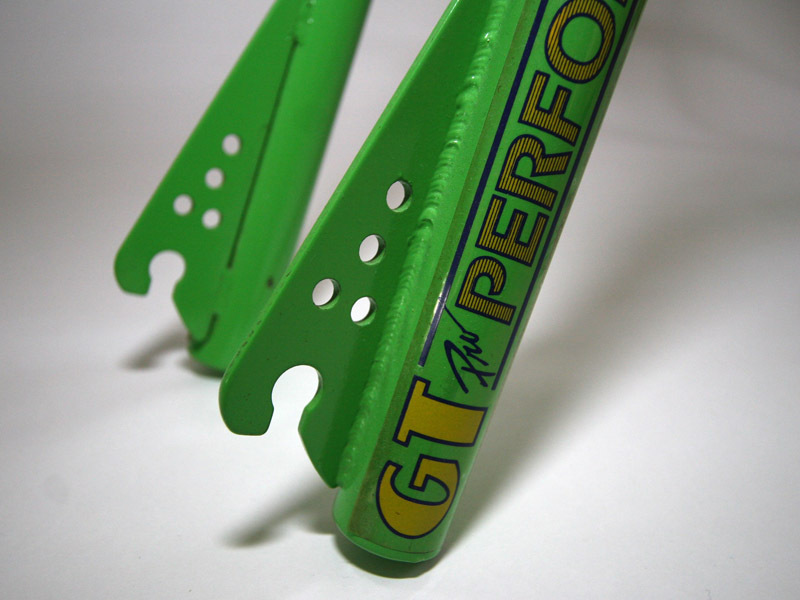 This is one of the first purely freestyle frame sets by GT BMX. 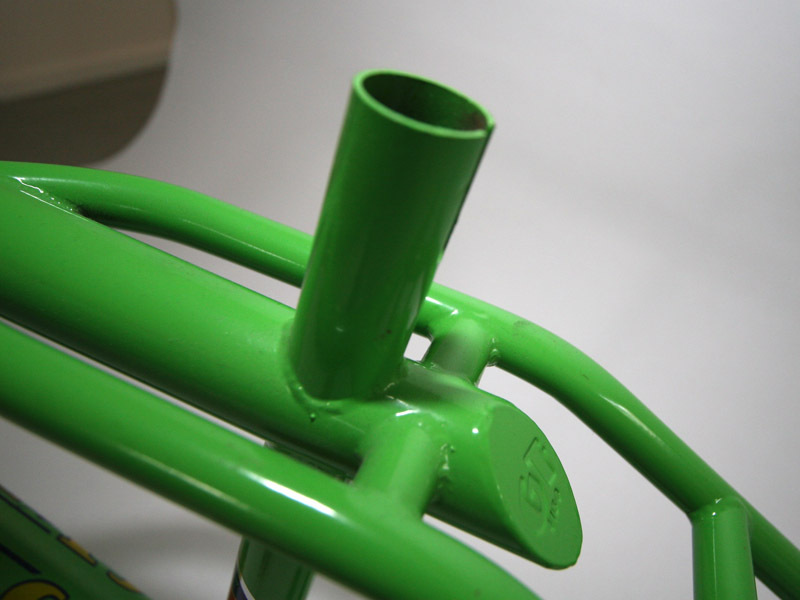 It is NOS and never had a headset, bottom bracket or wheels mounted. 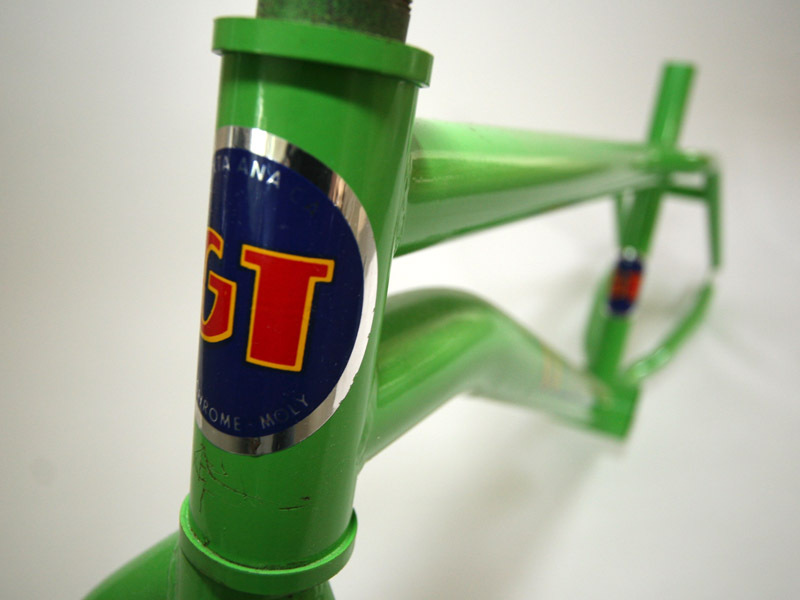 It does have a bit of shop wear as noted below the head tube decal. Speaking of that, all decals are original. 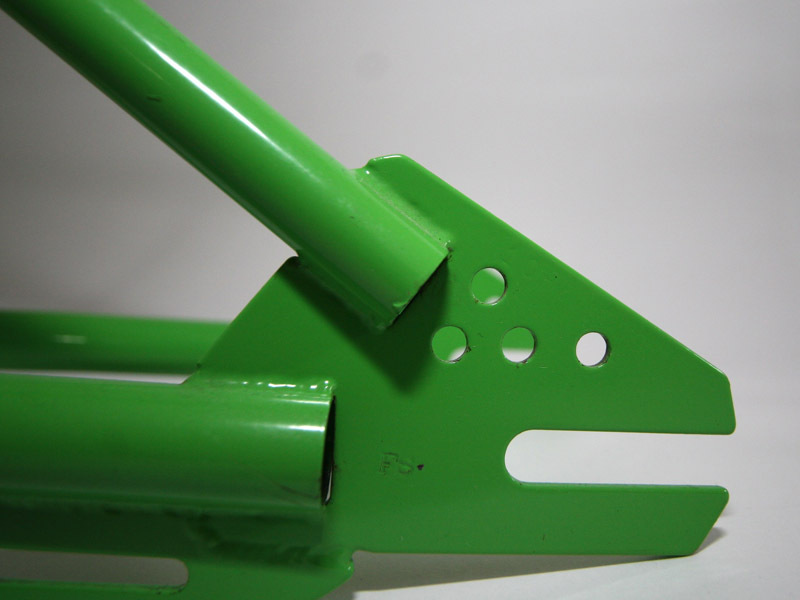 Nothing has been refinished or touched up on this BMX frame set. I bought it years ago and it has basically sat in a box the entire time. 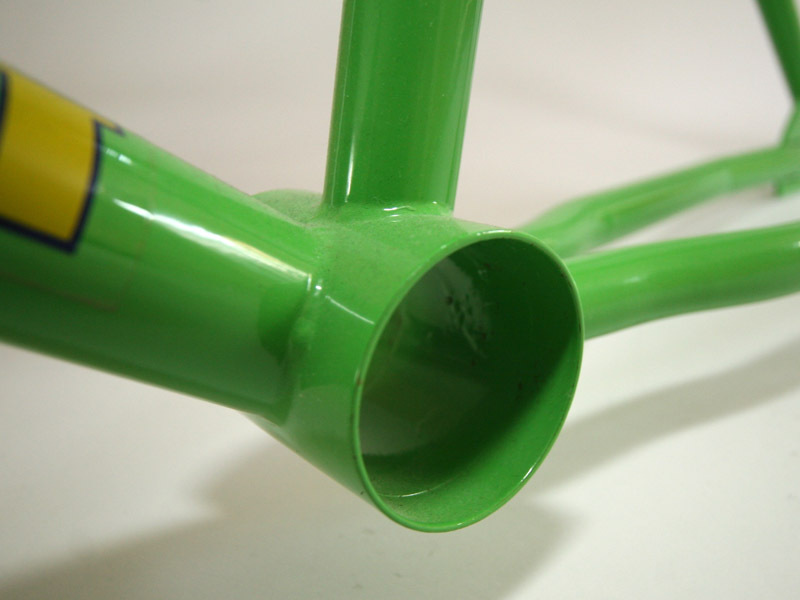 I never planned to build it up and hope the new owner keeps it in its unused condition.